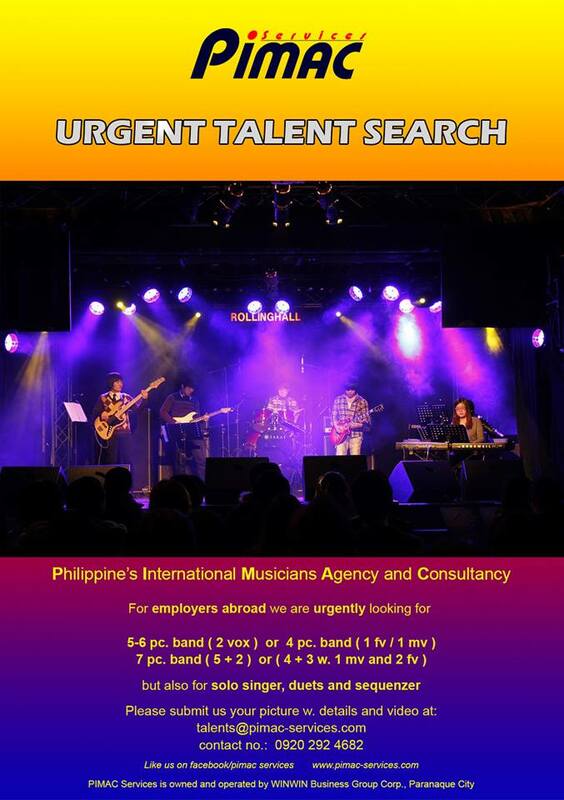 Philippines' International Musicians Agency & Consultancy (PIMAC) is in search of new talents for work abroad. They need bands and singers. Apply now!